Kevin Josefsen aka PHAXE, has gone from a no-name to an international player of the Progressive Trance elite within no time. Dropping his artist name Phaxe in 2007 provokes few, if any, reactions. Only 4 years later he has become a synonym for upper-league party music. Highly acclaimed live sets all around the world, applauded releases, and remixes for some of the scene’s biggest names tell an impressing success story. A story that makes the man from Copenhagen repeatedly being described as a “Progressive Prodigy”. Looking back, the evolution of Phaxe`s sound is the history of a perfect storm brewing. 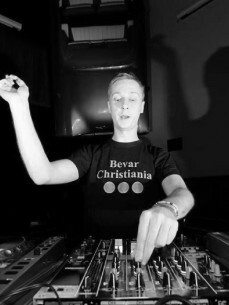 It starts with excessive party weekends in the late 90s, awakening his interest in electronic music production. First creative steps are taken in front of a Nintendo gaming console. Eventually this new passion leads to a professional audio engineer training in 2006. These 3 stages of Phaxe’s career are still very noticeable today: His music is to-the-floor, playful, and high-quality in terms of sound. This irresistible mixture is first to be heard in 2007 when a Phaxe track is released on IONO Music. One year later things take off: The title “Swing King” gains euphoric feedback from both party freaks and DJs worldwide. Within no time Phaxe is producing together with artists like Audiomatic, Morten Granau, Vice, Zyce, Flegma and many others. Great compliments are given to him when the still young producer is asked to remix some of his early Progressive Trance idols like Haldolium, Atmos and Symphonix. His long awaited debut album is signed on the prestigious label Iboga. In addition to his solo activities, Phaxe keeps up a creative dialogue with some other producers – resulting in a great variety of sound and styles. Together with Morten Granau he is known as High & Mighty, delivering deep Progressive House. The name Sinister Silence stands for a mutual project with Dan Hessner and uplifting Progressive Trance. Last but not least there is O.T.B., a collaboration with Martin Daltoft of Vice.